From April 2018 we will be extending our service. In addition to the early morning hours that we currently provide on Tuesday and Wednesday mornings we will also be providing evening appointments from 6.30pm - 8.30pm on Wednesday evenings at our Denby Dale Surgery. These will be a mixture of telephone, on the day and pre-bookable appointments. Clink the link above to check availability and book an appointment today. We hope that this will help to improve access to our service, especially for those who have difficulty attending appointments during the working day. 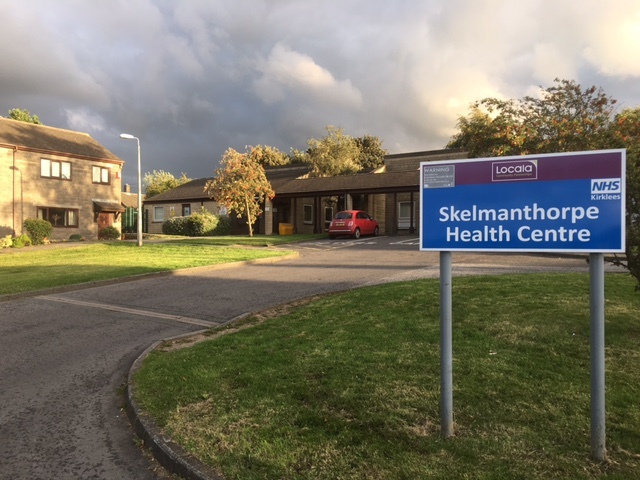 The Partners and the team at Skelmanthorpe Health Centre are proud that following ourCQC inspection in September 2016 the practice was rated as "Good". All patients at Skelmanthorpe Family Doctorshave a named, accountable GP who is responsible for coordinating their care. Your named GP will be allocated to you by the practice. You can still make appointments to see any GP or Nurse of your choice, not just your named GP. If you wish to know who your allocated GP is, then please call the practice and a member of our Reception Team will be able to advise you. If you have a preference and would like to request a particular doctor at the practice to be your named GP please inform one of our Reception Team. We have two Carer's Champions at the Practice, Liz and Sally and who can help provide you with relevant information, resources and contact points. We have a dedicated notice board where up to date information is displayed in the practice. Please visit our Carers page for more information. Skelmanthorpe Health Centre and Denby Dale Surgery have disabled access and toilet facilities. Skelmanthorpe Health Centre has a car park. The Practice participates in the mentoring of Health Care Professionals and is engaged from time to time in clinical research. Patient consent is sought prior to any research activities been undertaken. The Doctors at Skelmanthorpe Family Doctors practice together as a non-limited Partnership.